Blissborn® is a newer, more natural birth experience. Since 2007, our program has supported thousands of mothers. It's about you: your mind, your body, tapping into your own natural strength and capability. 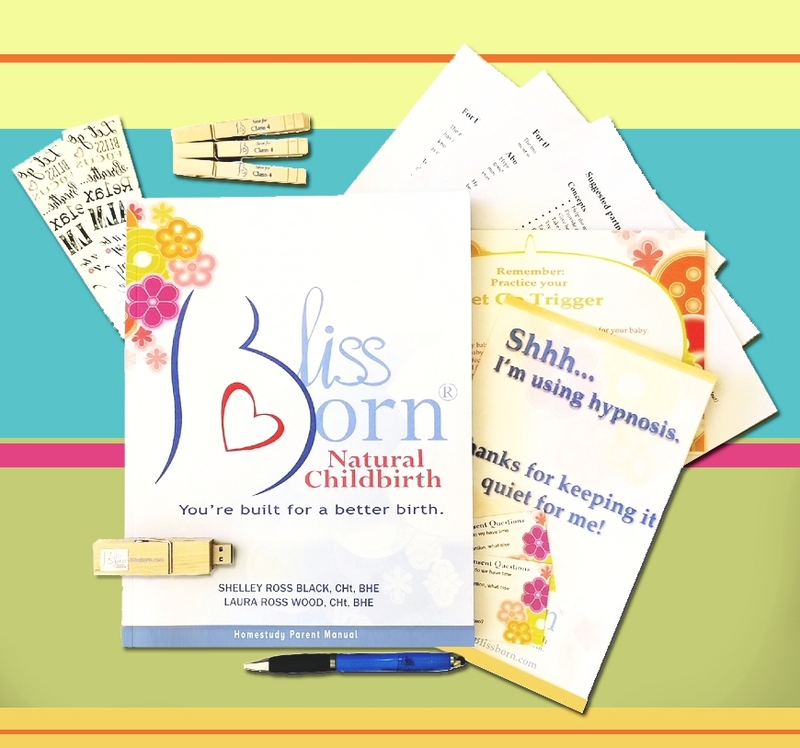 Blissborn® is a comprehensive program to prepare mothers and partners for a more confident birth experience. February 2018: One of the recent Blissborn babes to be born into this world. 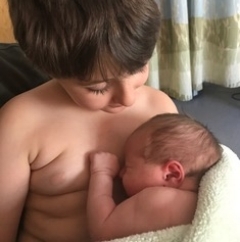 This almost 10-pound little guy was being snuggled skin-to-skin by his big brother shortly after birth. expanding into China is next! It's easier than ever to find a Blissborn class. In just five classes, you'll learn hypnosis, partner skills, anatomy, how to work through fears, pain control techniques, and much, much more! can help you have a more comfortable birth experience. If there aren't any classes in your area, or if you need to do the classes on your own schedule, check out our homestudy kit. The kit includes materials for five classes that include activities, hypnosis, and support materials. A 246-page manual, a companion flash drive, handouts and fun 'extras' are all included. The kit is packed with lots of great tools and information you and your partner can enjoy together. Click here to get to a free 10-minute hypnosis! You can listen to it right on the page, no strings attached. Also, if you're taking a Blissborn class or using the Homestudy, this is where you'll find the links and downloads referenced in your class. You may also want to check out this page if you're currently pregnant or curious about Blissborn -- we have some real gems here. Are you interested in becoming a Blissborn educator? If you're ready to help couples in your area have faster and more peaceful, empowered births, click below to learn more. If it's a good fit and you decide to pursue your BHE (Blissborn Hypnosis Educator certification), learning and teaching Blissborn will be one of the most rewarding things you'll ever do.